This modern quilt will bring a little sunshine. It is made up of half square triangles that make a colorful radiating star. 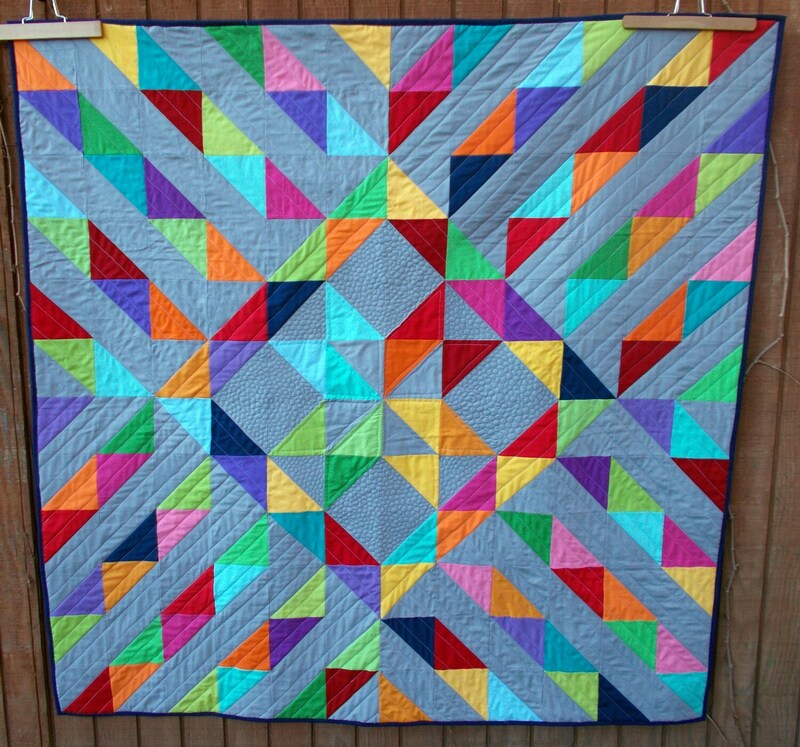 5" half square Triangles on a Roll make this pattern go together quick and easy. A pdf quilt pattern download means you can start your project right away. Throw quilt: 62" x 62"